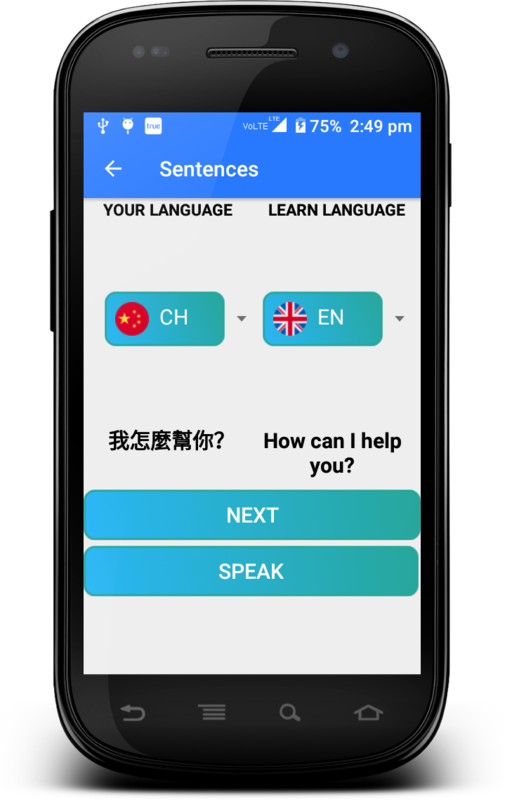 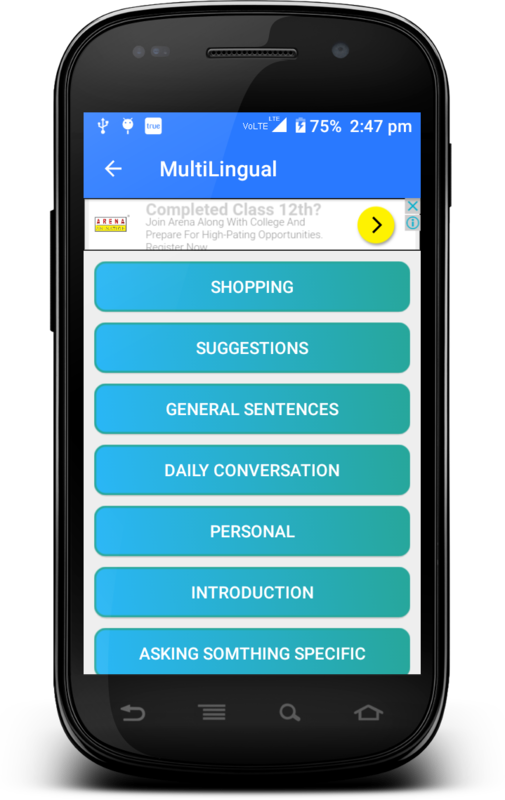 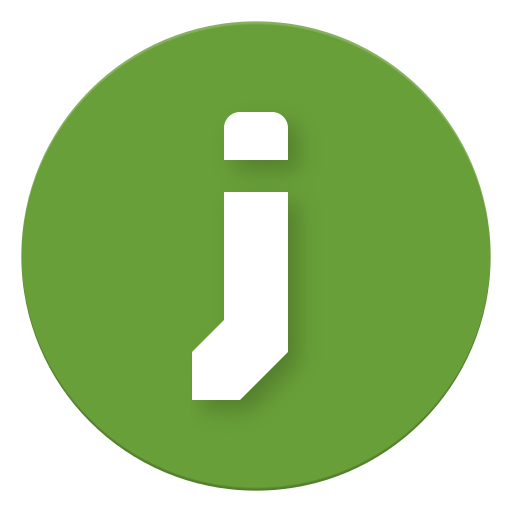 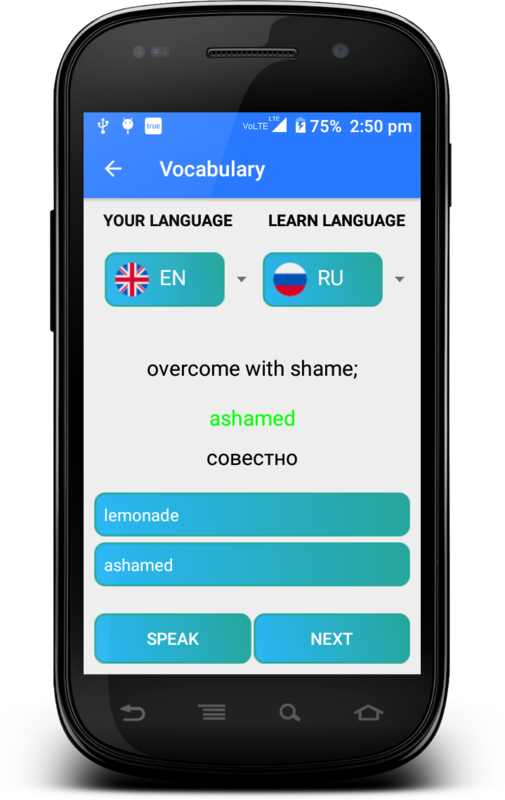 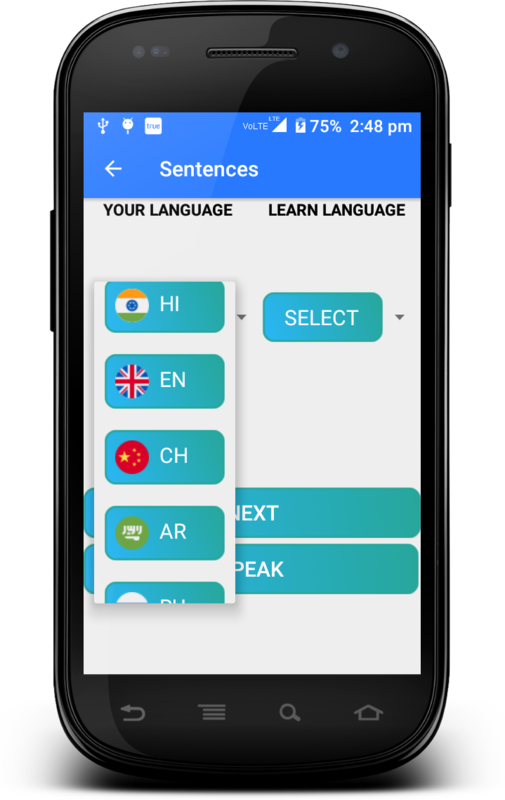 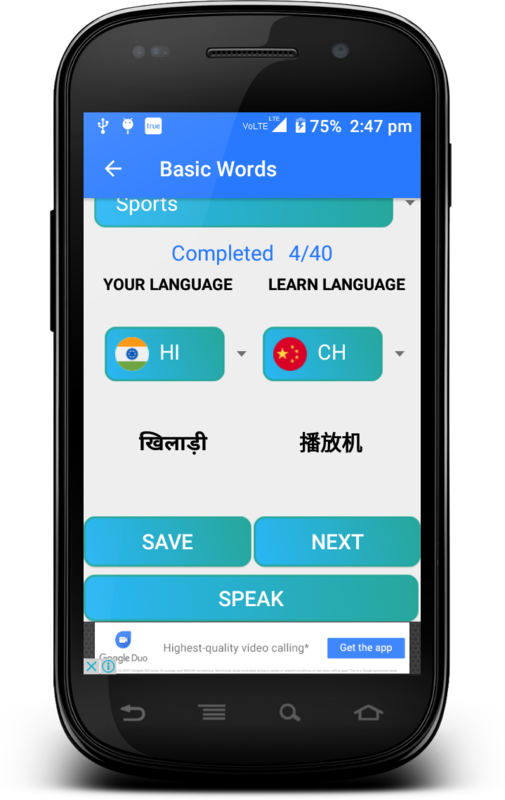 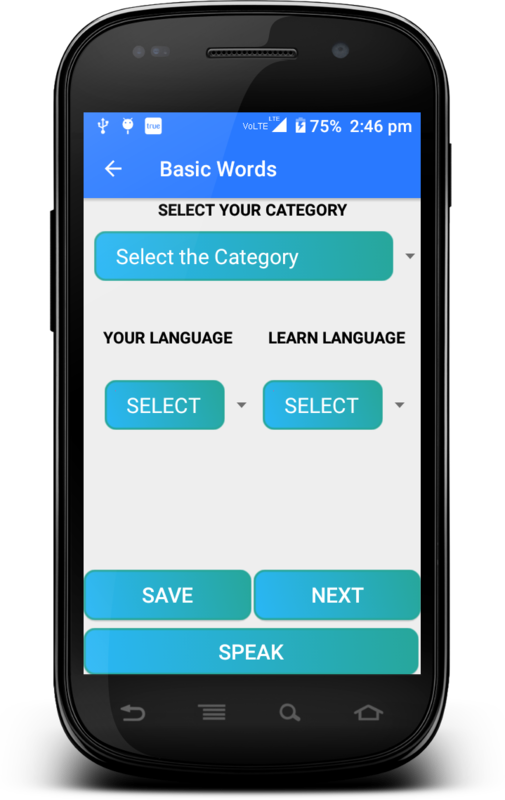 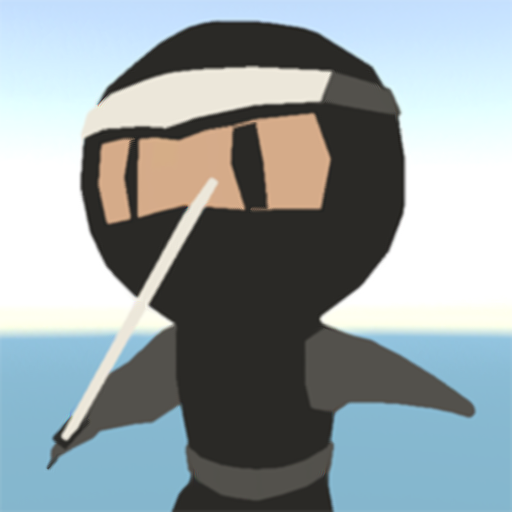 Multilingual is app to learn multiple foreign languages at one place for free. 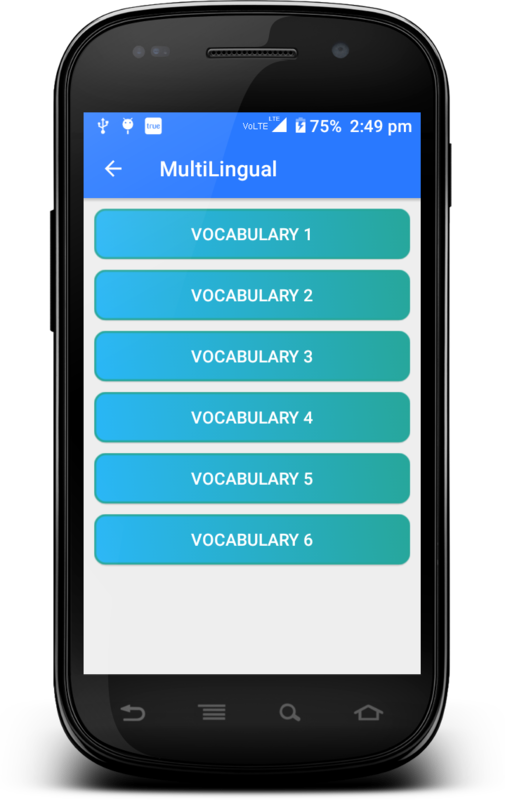 Practice your speaking, reading, listening and writing skills with Multilingual. 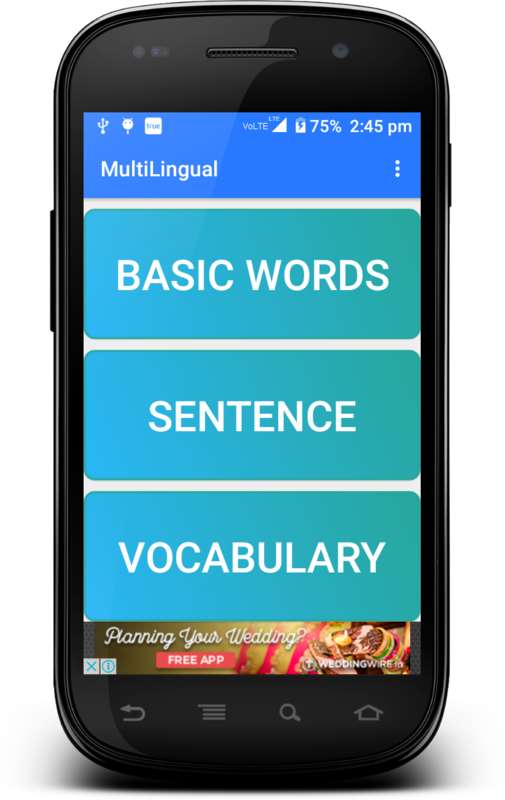 This helps helps in improving one's vocabulary and grammar skills by answering questions and giving tests. 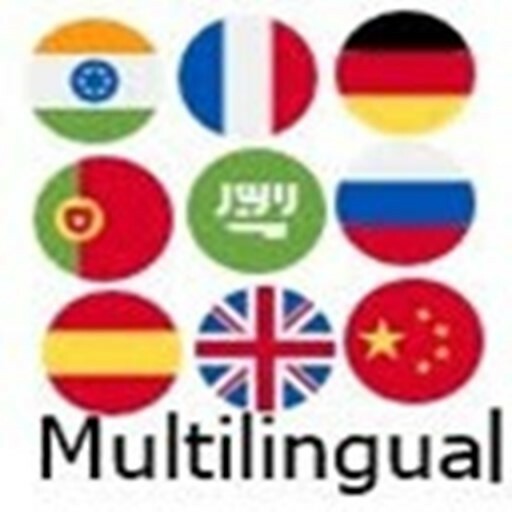 Learn Hindi, Chinese, Spanish, French, German, Russian, Portuguese, Arabic and English.